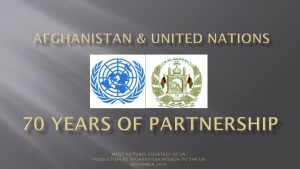 The Permanent Mission of Afghanistan, in collaboration with the UN Development Programme and the UN Sustainable Development Goals Fund will organize a panel discussion focusing on the efficient use of development assistance and the importance of building partnerships with national and international stakeholders to achieve the Sustainable Development Goals and move towards prosperity. H.E. Abdul Sattar Murad, Minister of Economy of Afghanistan, will join the discussion together with Mr. Achim Steiner, Administrator of UNDP, and Ms. Paloma Duran, Director of the UN SDGs Fund. H.E. Mahmoud Saikal, Permanent Representative of Afghanistan to the UN, will be moderating the panel. The panel discussion and the following Q&A session will be broadcast live on the Facebook page of the Permanent Mission of the I.R. of Afghanistan to the UN. The Permanent Mission of Afghanistan, in collaboration with UN Women, will organize a panel discussion on how the empowerment of women and girls in Afghanistan can contribute to the achievement of the 2030 Agenda and move the country towards a future of prosperity. 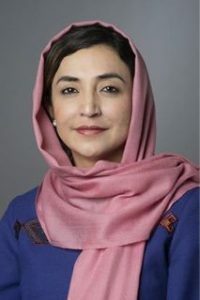 Ms. Farkhunda Zahra Naderi, Senior Adviser to the President on UN Affairs, and Ms. Naheed Farid Ahmadi, Member of Parliament, will provide their insights on how the 2030 Agenda helps achieving gender equality and human rights promotion as a critical pathway to achieve the Sustainable Development Goals.